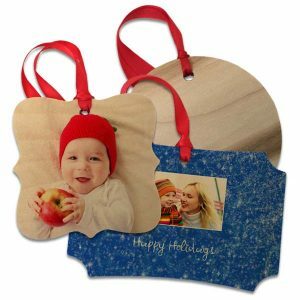 Select from multiple shapes and styles and create holiday ornaments to display on your tree this year from Photobucket Print Shop! Grab photos from your phone, tablet, or laptop and set your creativity free. 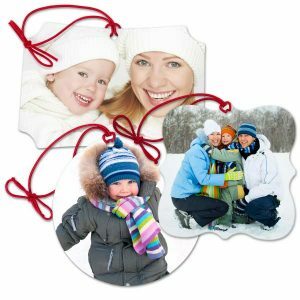 Picture Christmas ornaments also make great gifts for family and friends. Create a set for yourself and your loved ones and brighten your holiday with your favorite photographic treasures. Create that cozy Christmas feel this year in your home with our wood Christmas ornaments. Print your kid’s cutest photo or design a collage using your best photos from the past year. You can also create an annual ornament using our text feature. Add the year, date, or a caption to make it uniquely your own. Photobucket Print Shop’s customers particularly like round wooden ornaments. Design one for Mom by finding a stylish background pattern to accent her photo. Then hand write a holiday message on the back for the perfect holiday gift! Instead of a rustic flair, add an elegant touch to your holiday decor with classic glass Christmas ornaments from Photobucket Print Shop. 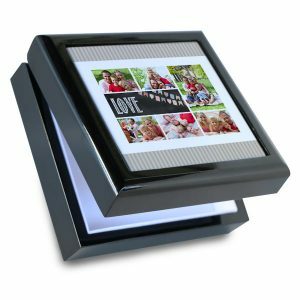 We offer three shapes including square, round, and hexagon so you can transform your photos into a one-of-a-kind keepsake. Glass ornaments add a little shimmer to your tree and are a great way to highlight your memories, whether it’s a wedding photo or a fun snapshot of your pet! 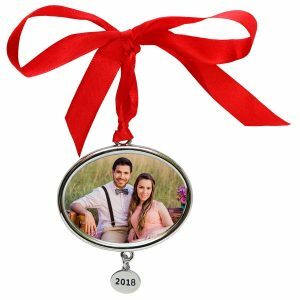 Photobucket Print Shop’s aluminum picture Christmas ornaments have a vintage look that will bring back memories of Christmases past! With their scalloped edges and various templates, you can create the perfect keepsake to display each year. Upload photos online or from your phone to get started. 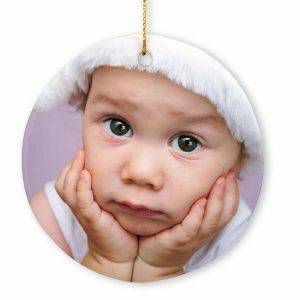 Whether it’s pictures from your family reunion or a cute photo of your baby, you can add it to your tree this year for a personalized touch to your holiday decor. Annual ornaments are a holiday tradition! At Print Shop, you can design your own to include a favorite photo. Our Annual holiday ornament includes a small silver pendant with the year. Commemorate 2018 with your best picture and hang it from your tree to keep spirits bright! Looking for a festive addition to your Christmas ornament collection? Our Joy ornament features a red and green color scheme with holiday glitter for that extra splash of glitz! Select a photo and transform it into a picture-perfect ornament that you and your family can feature on your tree each year. 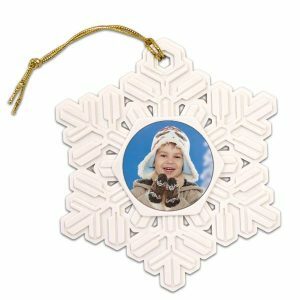 Personalized Christmas ornaments should add a unique, artistic touch to your holiday decor. 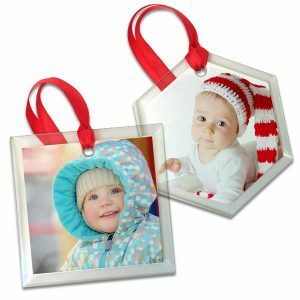 That’s why Photobucket Print Shop’s canvas Christmas ornaments can be hung from your tree for that creative touch. Upload family portrait and natural landscape photos to turn your tree into a gallery of photographic treasure. Our canvas ornaments are printed on both sides on genuine artist canvas for the highest quality look!